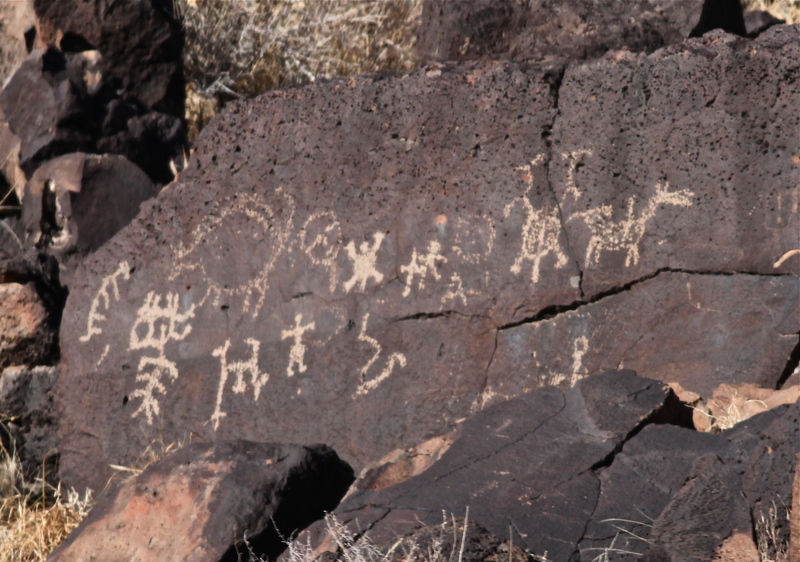 Recently Bosque Bill and I decided to go for a walk in Rinconada Canyon in Petroglyph National Monument. It was a beautiful day, although not particularly filled with birds. 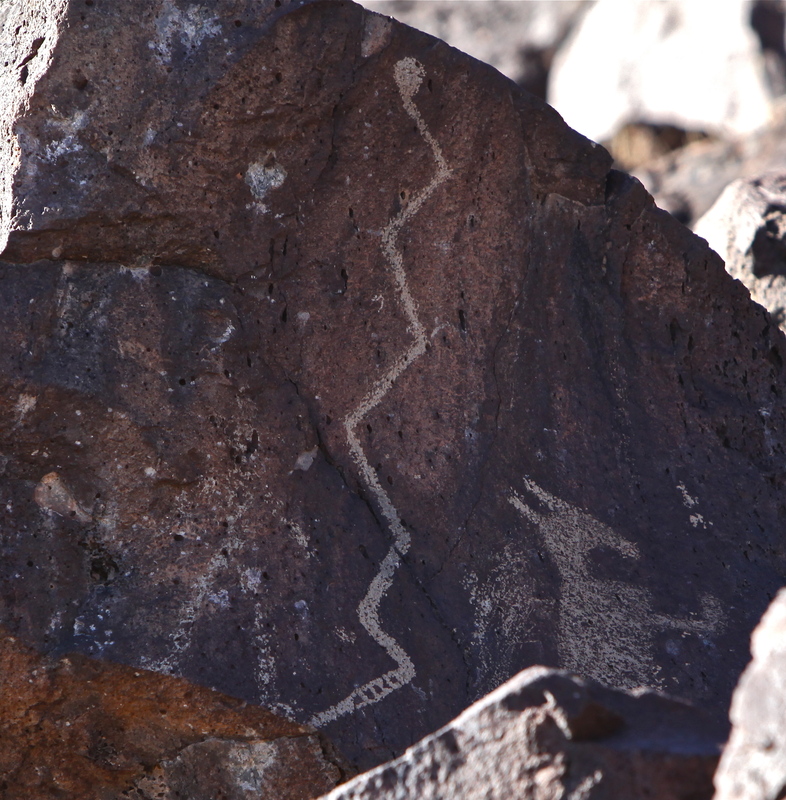 The petroglyphs, however, are spectacular. 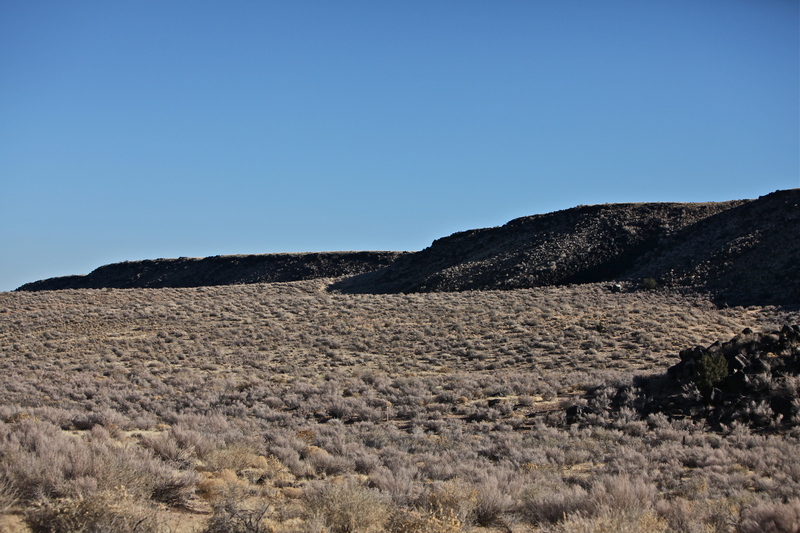 The path that we took runs along the edge of the volcano escarpment. 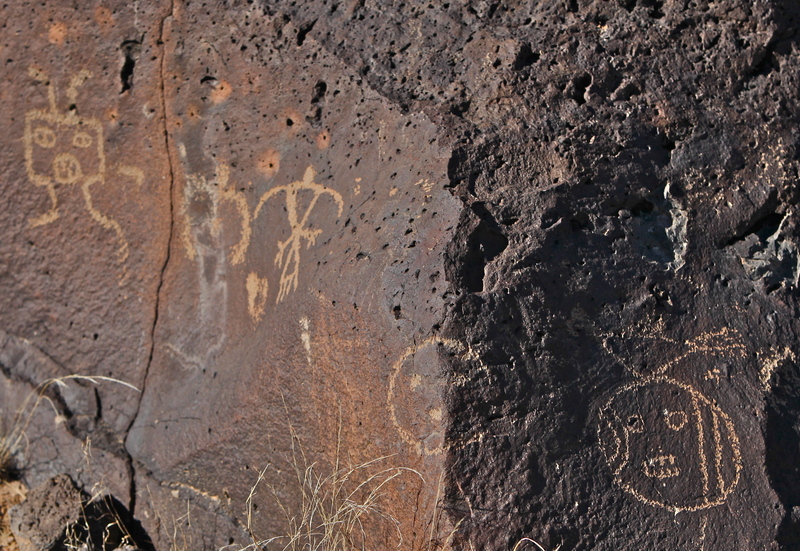 Rinconda Canyon, Petroglyph National Monument. 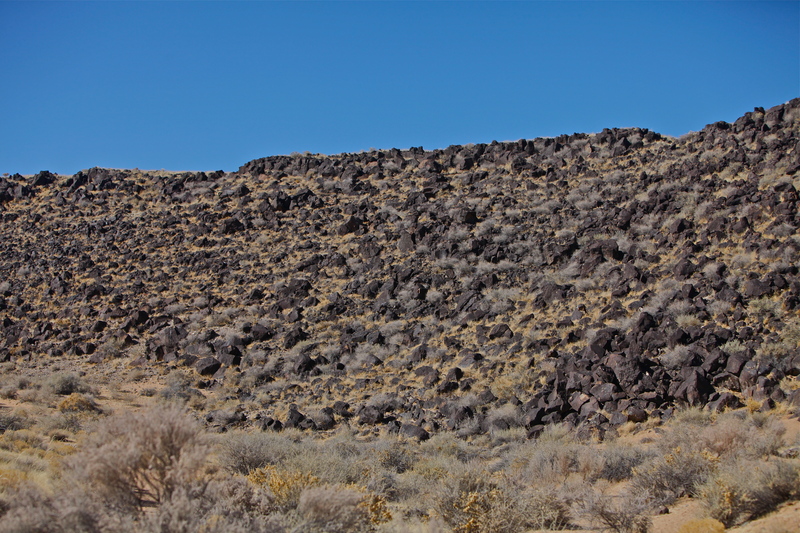 The landscape is very rugged. Looking to the east you can see Albuquerque, and even farther to the east you can see the Sandia Mountains. 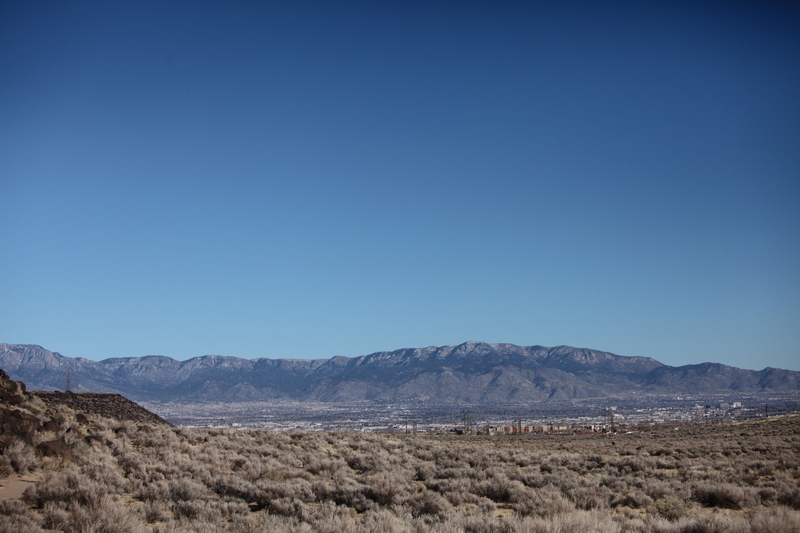 Looking to the east toward the Sandias. 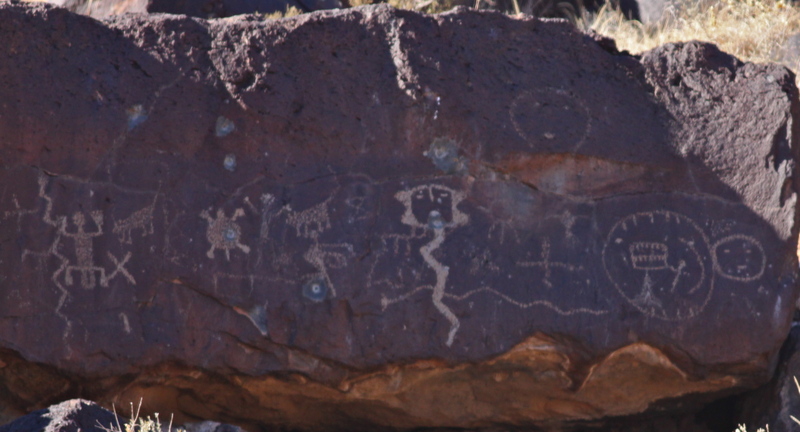 The scenery is striking, but it is the petroglyphs, images made by native people by pecking or chipping pictures into the rock, that are the main attraction. 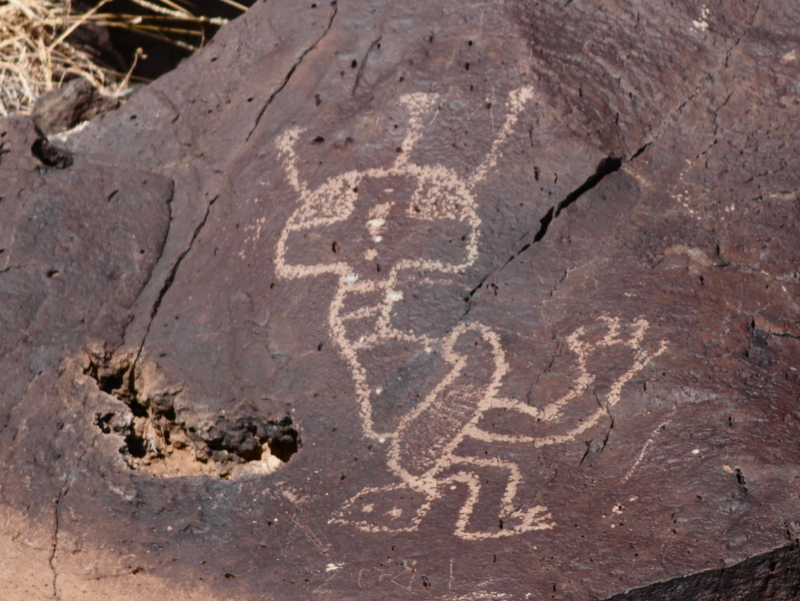 This one looks like an alien. Perhaps he got lost on the way to Roswell. 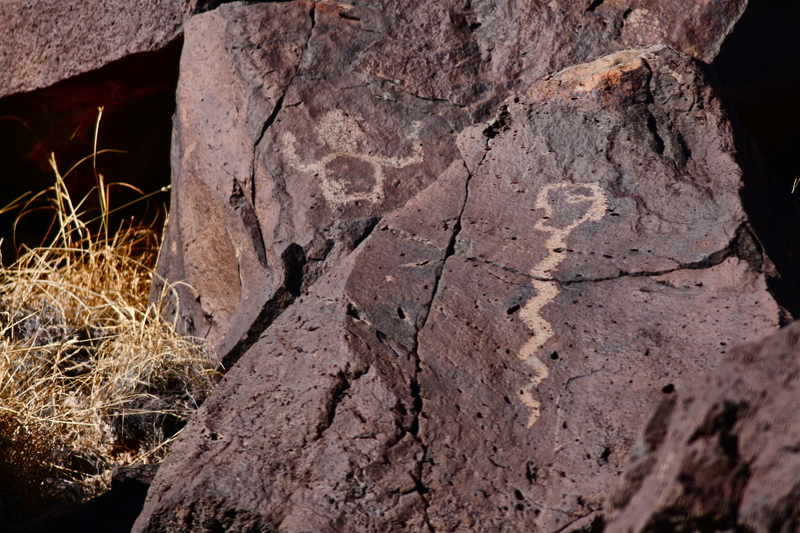 An interesting Petroglyph grouping featuring a snake. 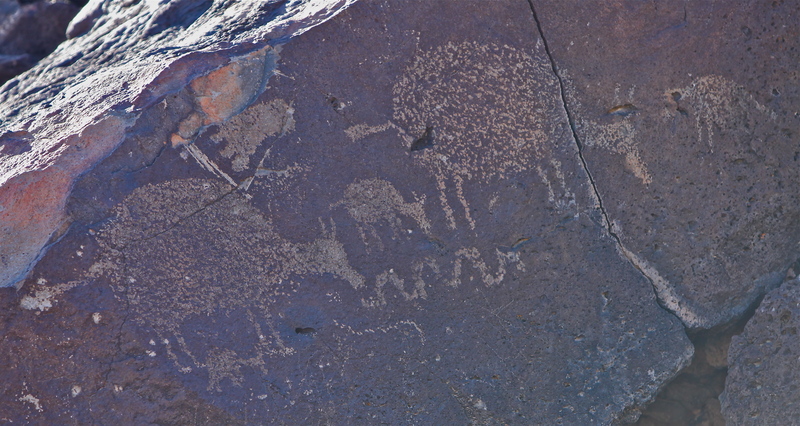 These grazing sheep or goats don’t seem to notice the snake. 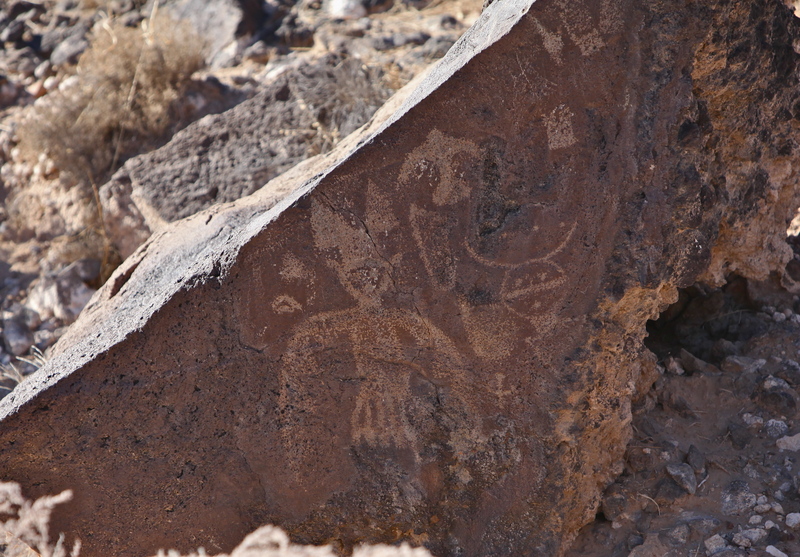 This impressive fellow was likely carved by a later resident of the area. Is this snake attacking a person? 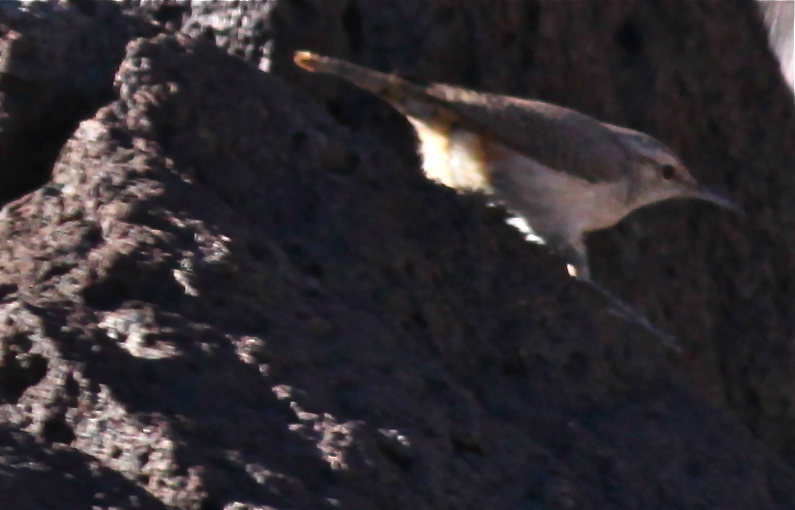 This coyote seems a bit outmatched. I like the way this face is made on two sides of the rock. Dancers and a soaring bird. 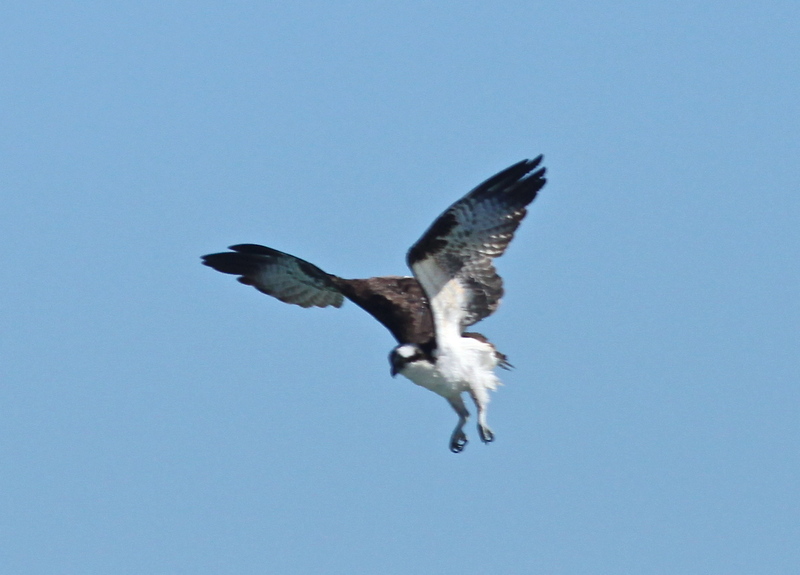 … and a few real birds too, although most were too far away for good photos. 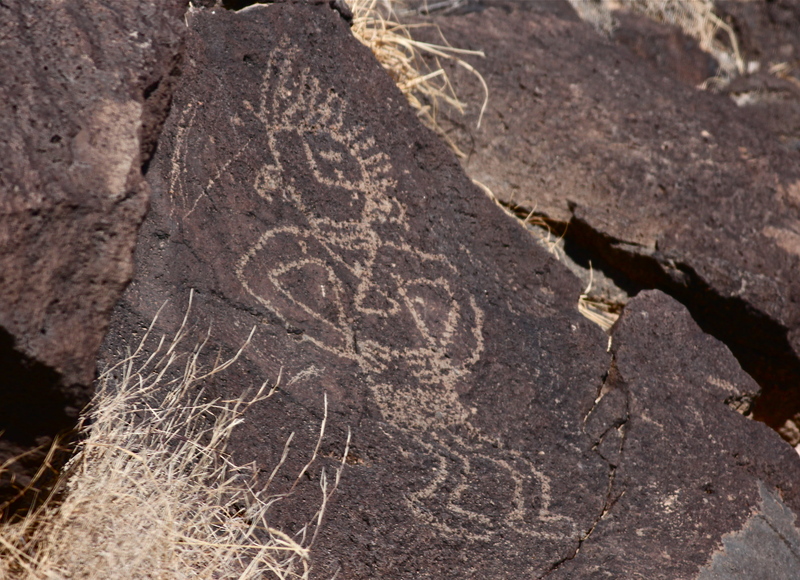 Petroglyph National Monument includes volcanoes, archeological sites and thousands of carved images. It is a fascinating place. 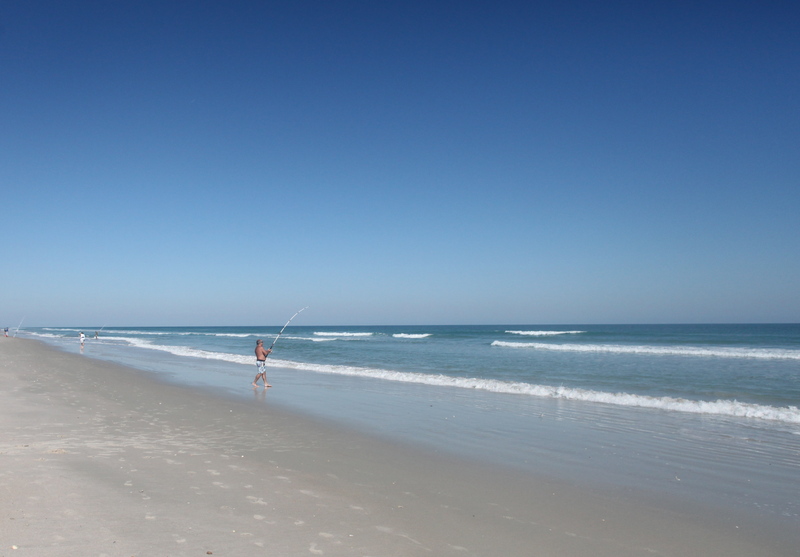 Perhaps the most beautiful place I visited on my trip to Florida was Canaveral National Seashore, a beautiful, 24-mile-long strip of pristine, undisturbed beach on the east coast of Florida. It was a beautiful day, and the white sand and azure water were stunning. 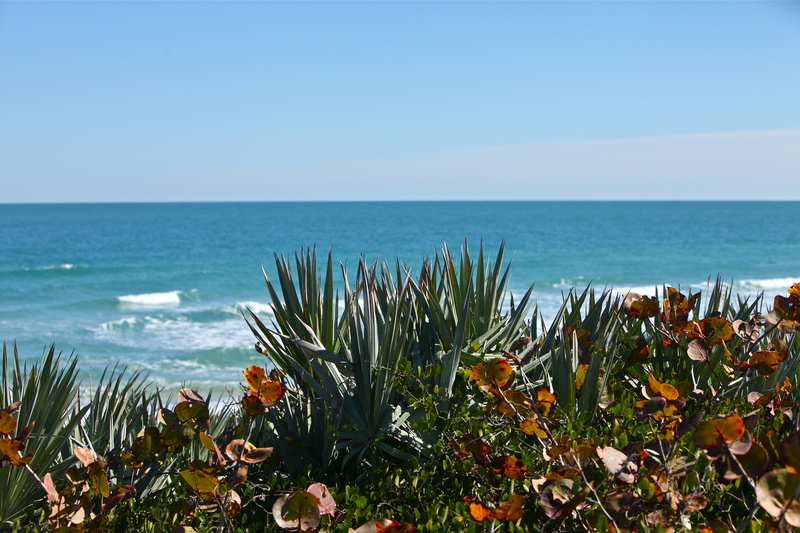 Looking over the dune at the water. Some readers may recognize the distant beachcombers. 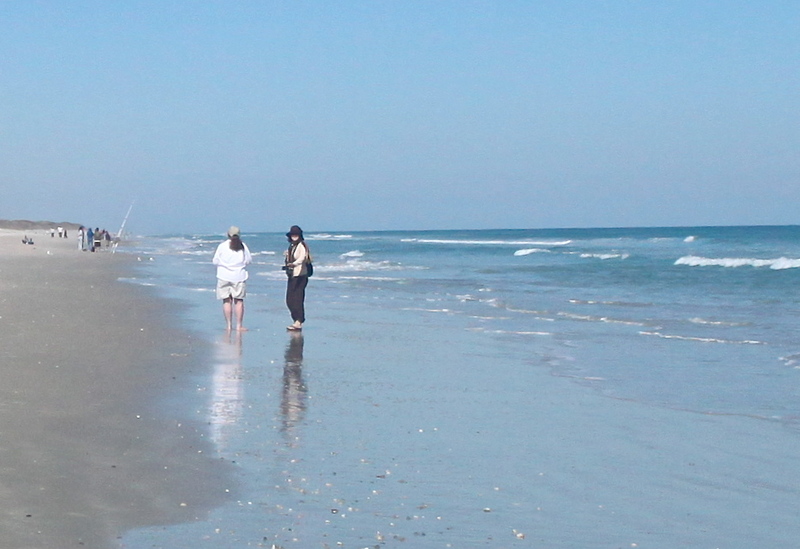 Donna and Dawn walk on the beach. 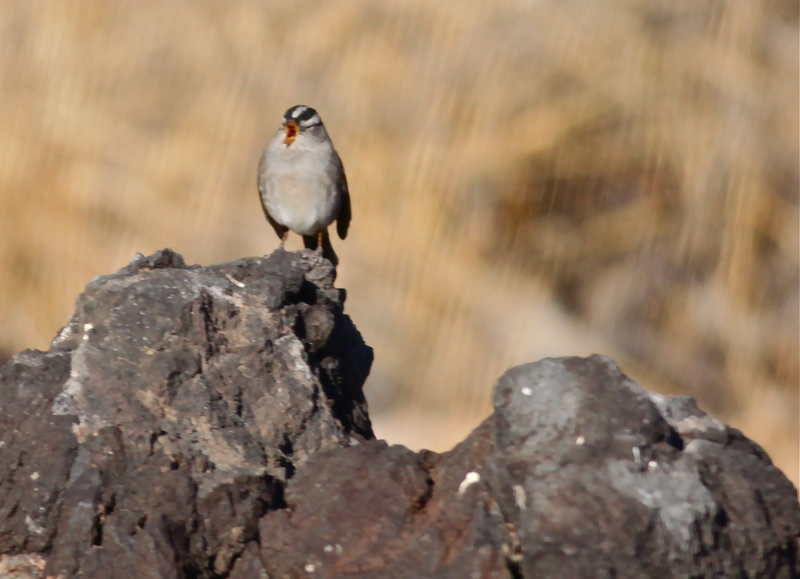 … but this guy seemed to be by far the most successful. 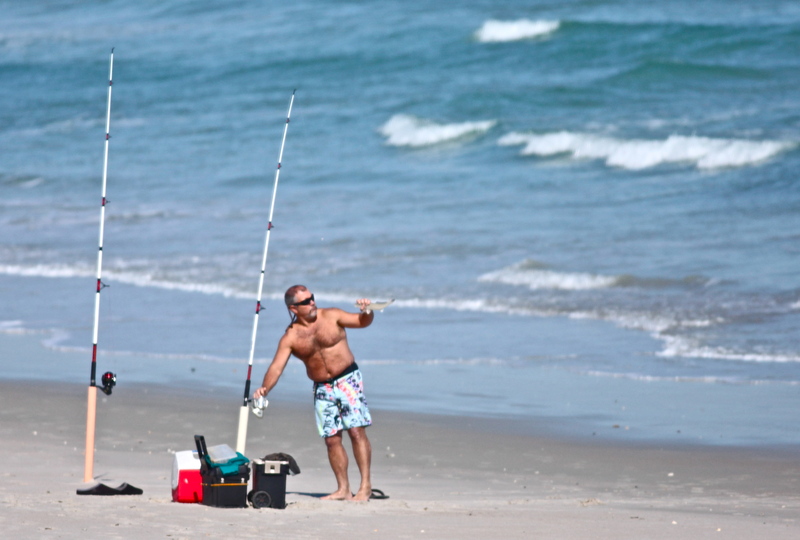 Surf fisher with whiting catch. 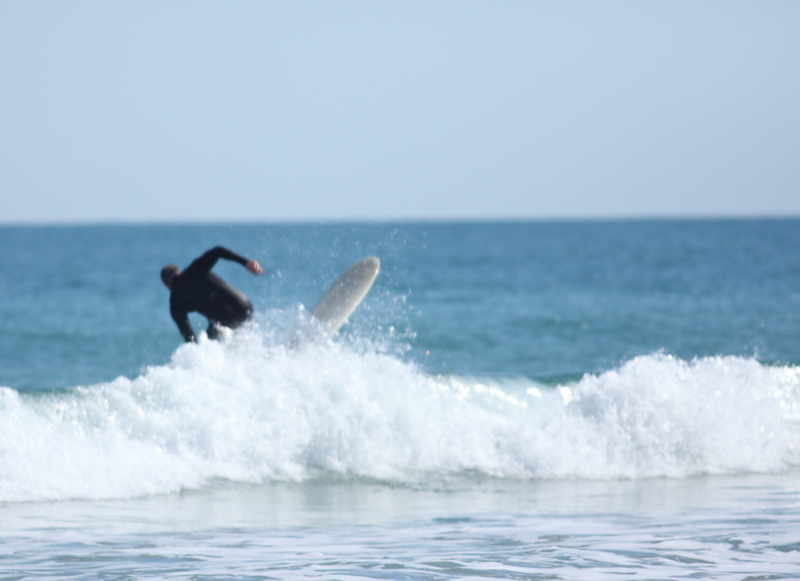 There were surfers enjoying the waves. I loved watching the little Sanderlings busily foraging at the edge of the surf. 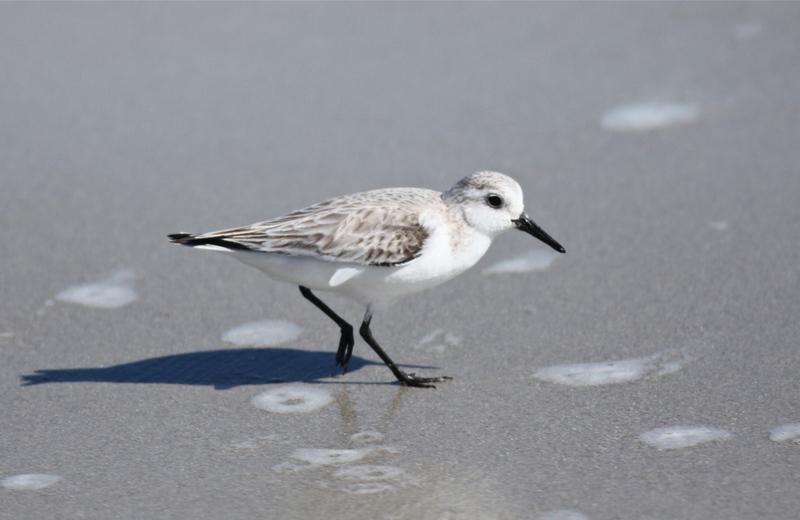 Sanderling foraging on the beach. 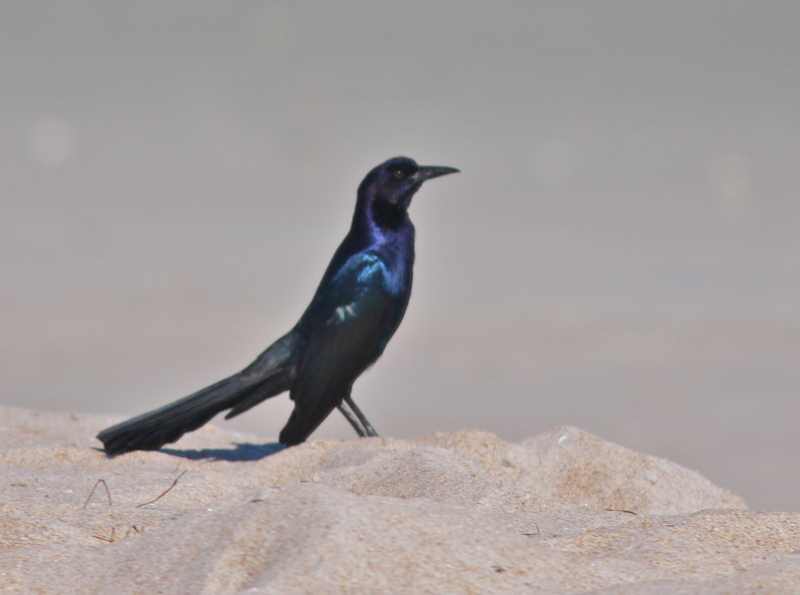 This Boat-tailed Grackle appeared to be in charge of the dunes. 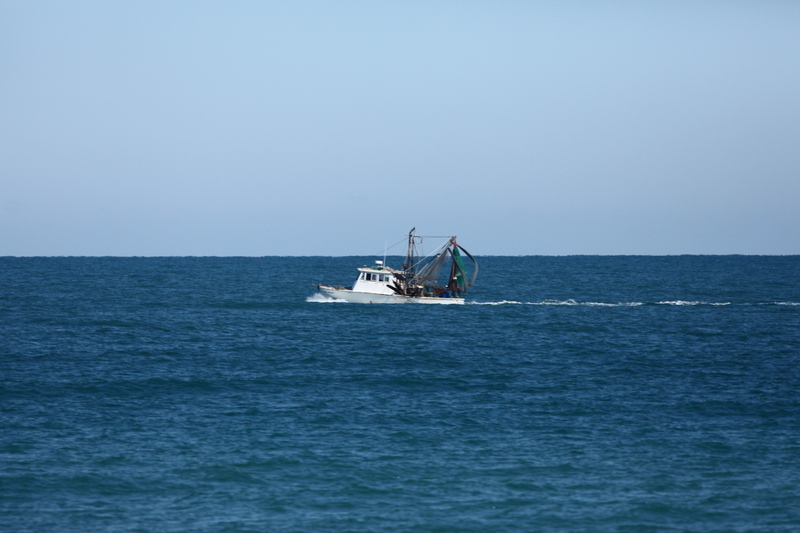 … and a fishing boat motored slowly by in the deeper water. 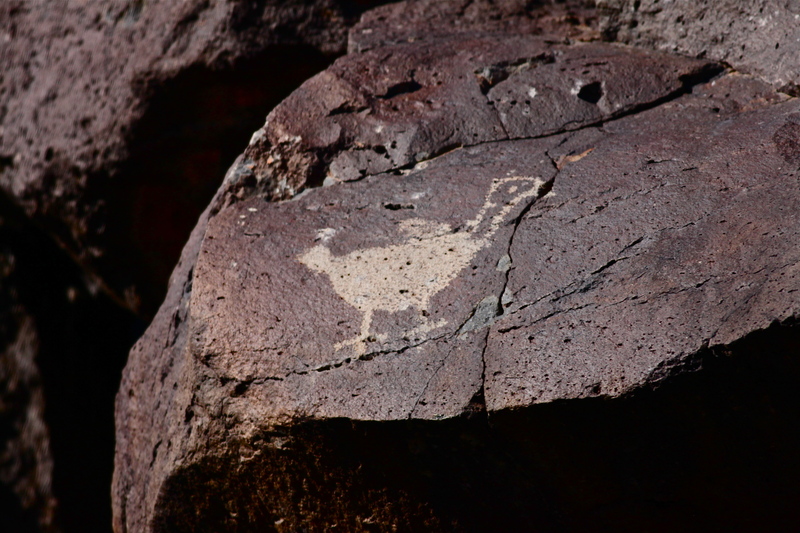 … but we had birds to see and photographs to make. 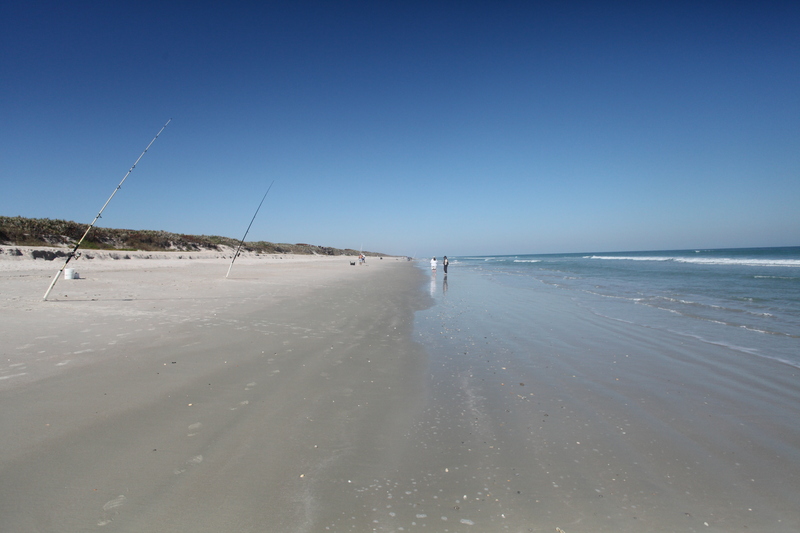 Here is a short video of Canaveral National Seashore. 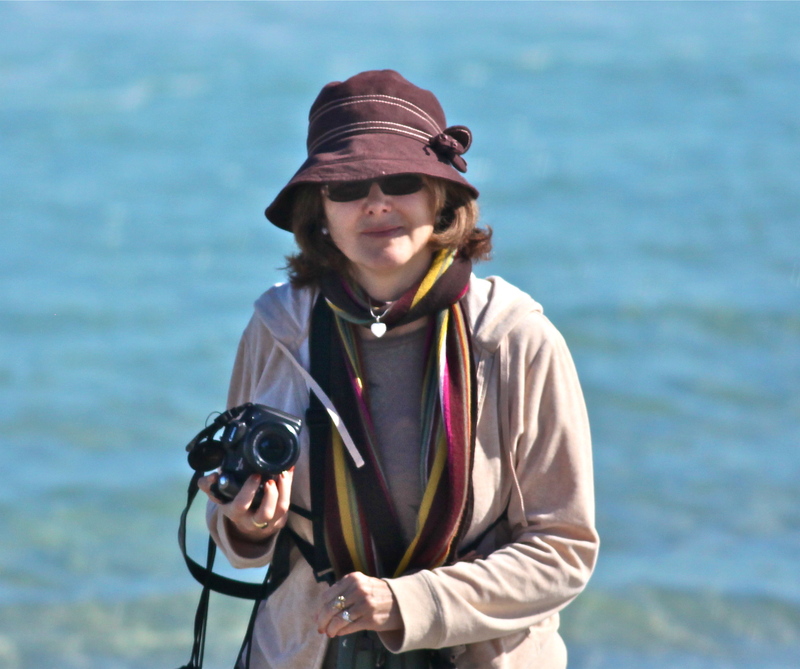 Readers who may have missed Parts I through IV of my Florida adventure can find them in my Photo Feathers blog. You will find Parts VI and VII there too.